For many young people a gap year can be the start of a love affair with living and working abroad, but for some it is set to become more expensive. For British people in particular the cost is more of an issue as the Pound has made some countries more expensive than others. On a typical £5,000 budget, young British people could spend nine months in Colombia or blow the lot in six weeks in Australia. Research from travel money specialist No1 Currency shows that a day in New Zealand costs four times as much as a day in Thailand and £5,000 will last five months or less in more than half of the most popular destinations. The firm’s analysis shows that overall Colombia offers the best value. Someone travelling to the South American nation could enjoy nine and half months on Colombia’s Caribbean beaches or in its tropical forests for £15.44 a day. The second most cost effective is China at £22.81 a day, followed by Thailand at £22.87 a day. Australia emerged as the most expensive country, with a £5,000 budget likely to last barely six weeks at a daily cost of £90. 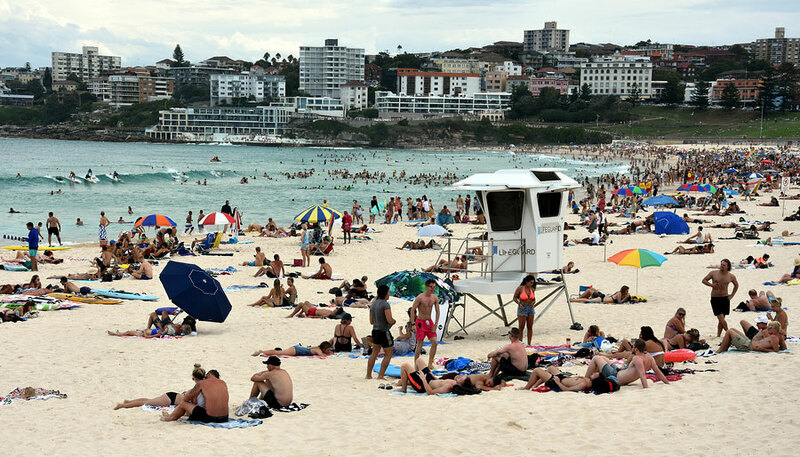 The cost of a return flight to Australia was the highest of any country at £819, but the real reason is the eye-watering cost of staying there. Separate research from the Association of British Travel Agents (ABTA) shows that a gap year is as popular as ever with Thailand the top destination, followed by Australia, Vietnam, Peru, New Zealand, the United States, Cambodia, South Africa, Argentina and then India. Some ABTA members specialising in gap year travel have reported increases of more than 30% in bookings over the last 12 months and some are also reporting an increase in interest in trips of a shorter duration. Amongst the most popular trips are volunteering. ABTA members have reported that gap year students regard these not simply as a way to boost their CVs but as a way of making a real difference and a positive contribution. Example trips include beach conservation in South America, forest conservation in Madagascar and medical internships in South Africa. The clichéd image of a gap year as a yearlong party is rapidly losing ground as many use it as an opportunity to gain work experience either on internships or in paid employment with the research suggesting that partying is the least important factor for people. According to ABTA members, activity tours including trekking, white water rafting and biking, plus cultural tours to historic and fascinating cities are all proving popular this year. Many gappers prefer the security and company offered by travelling as part of an organised group and they find it a great way to share experiences with like-minded people and make new friends. ‘For many young people, a gap year will be the first time that they have spent a significant time away from home and it should provide positive experiences and memories of a lifetime. However, foreign travel can present a range of challenges, particularly in less affluent countries where many gappers will be travelling,’ said Nikki White, director of destinations and sustainability at ABTA. ‘It is incredibly important that gap year students do their research and plan thoroughly so that they can travel in safety and get the most out of their experiences. Gap year students often pay out large sums of money to specialist companies and it is really important that they book with a reputable company to avoid disappointment and ensure that their money is well spent,’ she added. Both ABTA and No1 Currency urge those going abroad to make sure they have done their research, to take out insurance that covers any activities they plan on doing, and to have a knowledge of local customs and culture. They are also advised to keep electronic copies of all important travel documents such as passports and visas and leave a copy with someone at home as well as keeping a list of emergency contact numbers in a safe and accessible place.